UPDATE: Palm Bay police have arrested 30-year-old Edwin Cruz-Flores. PALM BAY, Florida - The Palm Bay Police Department is requesting the public's assistance in identifying a robbery suspect in the above photo and below video. 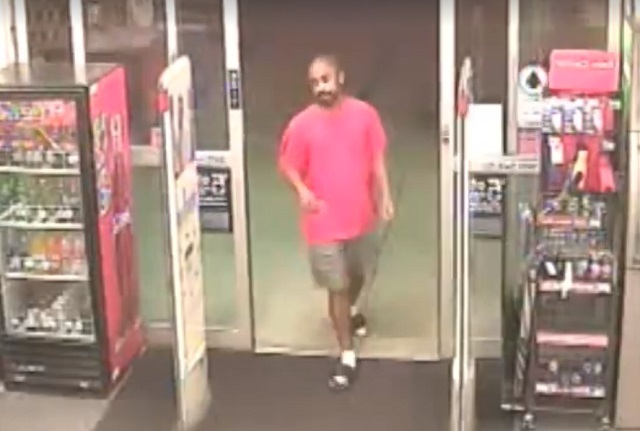 Around 4 a.m. on Sunday, the suspect robbed a CVS store located at Palm Bay Road and Babcock Street in Palm Bay, Florida. Police say that the man implied a weapon to the clerk during the robbery. If you have information regarding the suspect or the robbery, police ask that you please call CRIMELINE at 1-800-423-TIPS or visit CRIMELINE.ORG.